Yesterday, the Dow Jones Industrial Average fell 120 points, while the Nasdaq slipped more than 1.6% after media and news stocks plunged on quarterly earnings that revealed more consumers are unplugging from cable. It was the sector's worst two-day performance since the financial crisis. Shares of Viacom Inc. (Nasdaq: VIAB) slipped more than 14% after the company reported a 44% decline in revenue for its film-entertainment division. Shares of New York Times Co. (NYSE: NYT) slipped nearly 3%, while Twenty-First Century Fox Inc. (NYSE: FOX) dipped 6.7% on the day. Meanwhile, shares of Netflix Inc. (Nasdaq: NFLX) gained another 1% this morning as the company continues to benefit from consumers "pulling the plug." The Stock Market Today: Today, traders will speculate on whether the U.S. Federal Reserve will take action and tighten monetary policy in the wake of today's jobs report numbers. 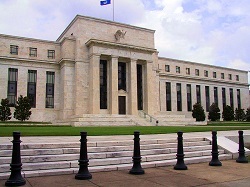 With the unemployment rate unchanged at 5.3%, and other data segments underwhelming investors this week, members of the Fed Open Market Committee may remain divided when it meets in September to discuss the timing of its first interest rate hike in nearly a decade. 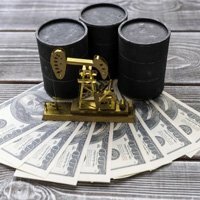 Oil Outlook: Oil prices hovered near their lowest levels since March on concerns about oversupply and the broader economy after this morning's jobs report. WTI crude futures for September were flat at $44.69 per barrel. Meanwhile, Brent oil prices dipped 0.2% to $49.41 per barrel. Falling prices are still cutting into the share price of multinational giants like Chevron Corp. (NYSE: CVX), which slipped another 0.25% in pre-market hours this morning. Earnings Reports: Companies reporting earnings today include Groupon Inc. (Nasdaq: GRPN), Blue Nile Inc. (Nasdaq: NILE), CST Brands Inc. (NYSE: CST), E.W. Scripps Co. (NYSE: SSP), Harris Corp. (NYSE: HRS), JD.com Inc. (Nasdaq ADR: JD), Sotheby's (NYSE: BID), and Hershey Co. (NYSE: HSY). Pre-Market Movers No. 1, GMCR: Shares of Keurig Green Mountain Inc. (Nasdaq: GMCR) were up 0.5% in pre-market hours after a dismal earnings report yesterday. The company slashed its outlook, announced hundreds of layoffs, and received multiple downgrades as the firm continues to show weak earnings as it struggles in its turnaround efforts. GMCR stock is down nearly 60% year to date. Pre-Market Movers No. 2, RDS.A: Shares of Royal Dutch Shell Plc. (NYSE ADR: RDS.A) is up more than 1% this morning on news the company plans to sell a 75% stake in Chinese energy giant Tongyi to private-equity company The Carlyle Group LP (Nasdaq: CG) and another investment group. The company is selling roughly $15 billion in assets in order to gain enough capital to complete its $70 billion acquisition of BG Group Plc. (OTCMKTS ADR: BRGYY). Pre-Market Movers No. 3, GRPN: Shares of Groupon Inc. (Nasdaq: GRPN) plunged more than 8% this morning after the company reported second-quarter earnings and slashed third-quarter revenue outlook. Groupon said its quarterly revenue increased to $738.4 million, up from $716.2 million in the same period last year. However, this fell short of analyst expectations of $740.25 million. The company's CEO Eric Lefkofsky said that all of its businesses in North America and abroad are growing. Stocks to Watch No. 1, LNG: Shares of Cheniere Energy Inc. (NYSE: LNG) are in focus this morning on news that activist investor Carl Icahn has taken an 8.2% stake in the firm. Icahn built the position, valued at more than $1 billion, after saying that he believed the stock to be cheap. He plans to speak to the company's board about efforts to slash company expenses and boost shareholder value. Stocks to Watch No. 3, TSLA: Shares of Tesla Motors Inc. (Nasdaq: TSLA) slumped more than 8.8% yesterday after the company slashed its sales forecast for the second time in 2015. The company reported a smaller than expected second-quarter loss. CEO Elon Musk said he prefers providing "a great product" over "hitting quarterly numbers." It appears that traders disagree. The news comes on the same day Time magazine announced hackers found a way to take over a Tesla Model S vehicle and turn the car's engine off while someone is driving. Tesla will recall 1.4 million vehicles to address hacking threats. TSLA stock is down nearly 1% in pre-market hours.